Habitat: Weedy places. Disturbed ground. Description: This common weed generall grows erectly and can range from 1 to 3 feet in height. The stalk often curves at the leaf axils but some plants have stalks stright enough to use for a hand-drill stalk. The generally diamond-shaped leaves are usually coated with a mealy white powder which is harmless. This is an edible and delicious plant. The flowers are small and do not stand out and later yeild small black seeds. The stalks have a green and purple vertical-striped pattern. Edibility: This is a delicious plant. 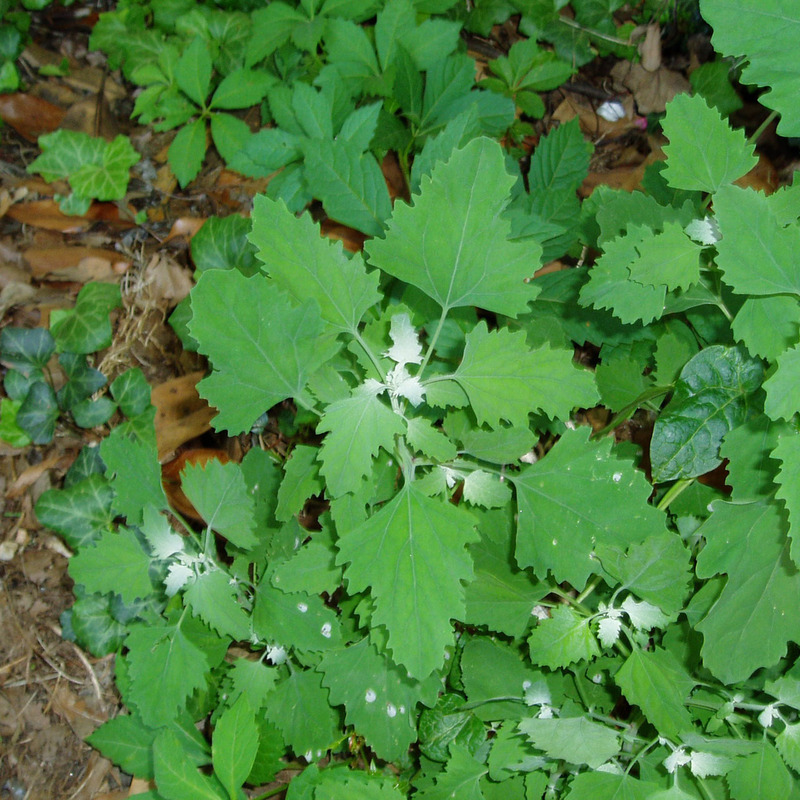 The leaves and tender tips can be eaten cooked in a variety of ways and shrink greatly when cooked. The seeds can be boiled into a gruel or ground into flour. Utilitarian Uses: The stalks can be used for hand-drill firemaking.